Send us your e-mail address and we will notify you about new products, best prices, discounts and sales. Our underbed storage drawers are made from solid wooden pine in a choice of four beautiful wood colour finishes. They are designed to simply roll out and back under your bed, and will make tidying up a breeze. Our storage drawers fit perfectly under all Nodax bedframes and can be used with other bedframes too (please check measurements first). 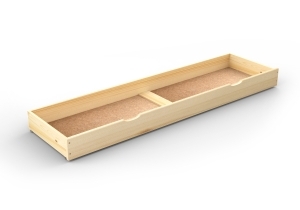 What's included: Underbed Storage Drawer 198cm long. Note: This drawer is the full length of a kingsize or super kingsize bedframe, offering extra storage. 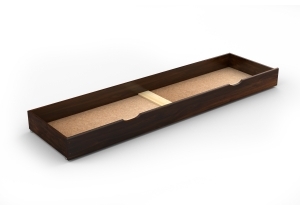 However we recommend the slightly smaller 150cm long storage drawer if you have bedside tables. 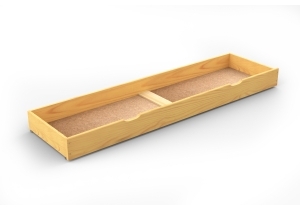 Due to its extra length (suitable for kingsize and super kingsize bedframes), this underbed storage drawer is not suitable for single, small double or double bedframes. 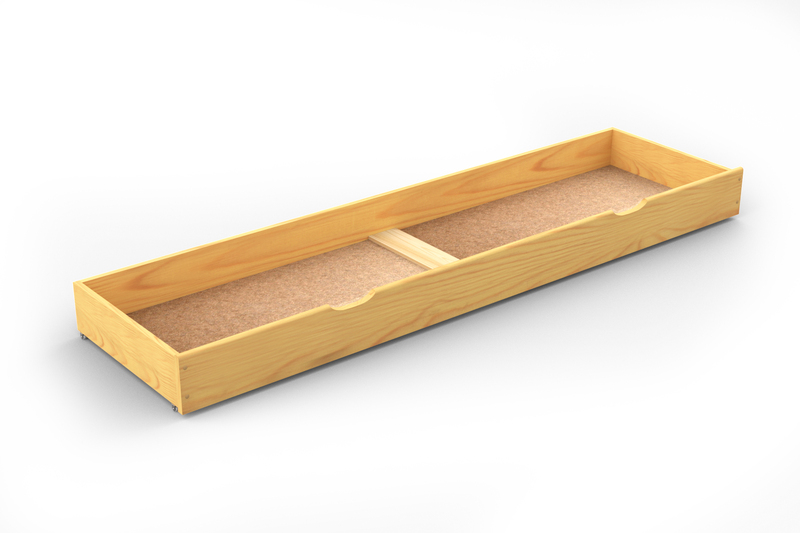 For kingsize and super kingsize bedframes, you can fit one underbed drawer 198cm on each side of your bed (so a maximum of two drawers will fit per bed). Choice of walnut, oak, alder or natural pine painted finish. The drawer has wheels for easy movement, and the sturdy bottom is made from MDF board (6mm thick). Flat packed for easy self-assembly. Instructions are included and there is an easy to follow video tutorial too. 1 year guarantee (on defective parts) from invoice date. Care instructions: wipe dry with a clean cloth.